In this article, I’m going to cover the lowest radiation cell phones, and smartphones, that you can buy in 2019. Although it isn’t the absolute best measure of a phones safety when it comes to EMF radiation exposure, SAR ratings are really our only publicly available means to compare the radiation levels of these devices. So, after we talk about the lowest radiation phones, I’ll go a bit more in depth about what a SAR Rating is, why it matters, and why it isn’t always the best for determining the safety of a phone. This is a comprehensive chart of the lowest radiation cell phones currently available. I’ll do my best to keep it updated as new phones are released and their SAR ratings become available. As you can see from the chart above, technically, the cellphone with the lowest SAR rating currently available is the Verykool Vortex RS90. The Vortex RS90 has a SAR of just .18 w/kg. You probably haven’t heard of this phone because it isn’t particularly popular. Verykool is a company based out of Miami Florida that has a small line of mobile phones and accessories. The Vortex RS90 (usually just referred to as the Vortex) is a fairly simple, android based Smart phone. The most unique part of the phone is it’s unusually low SAR rating. As you can see from the chart, coming in just second place with only a slightly higher specific absorption rate, is the Samsung Galaxy Note with a SAR rating of just .19 w/kg. This is by far the lowest radiation smartphone by a major manufacturer. In fact, Samsung devices hold 12 of the 20 spots for lowest radiation cell phones. Why Do Samsung Phones Have Such Low SAR Ratings? It’s actually a pretty interesting story. It used to be that the FCC mandated that cell phone manufacturers only use antennas that transmitted in all directions, known as omnidirectional antennas. In 2003 the FCC changed their rule, in part to protect hearing aids from the radiation emitted from omnidirectional antenna, and no longer required that phone manufacturers use this time of antenna. This was not only a transformational upgrade for Samsung, but something brand new to the industry. More importantly though, it dramatically lowered the recorded SAR ratings of all the phones using this antenna. 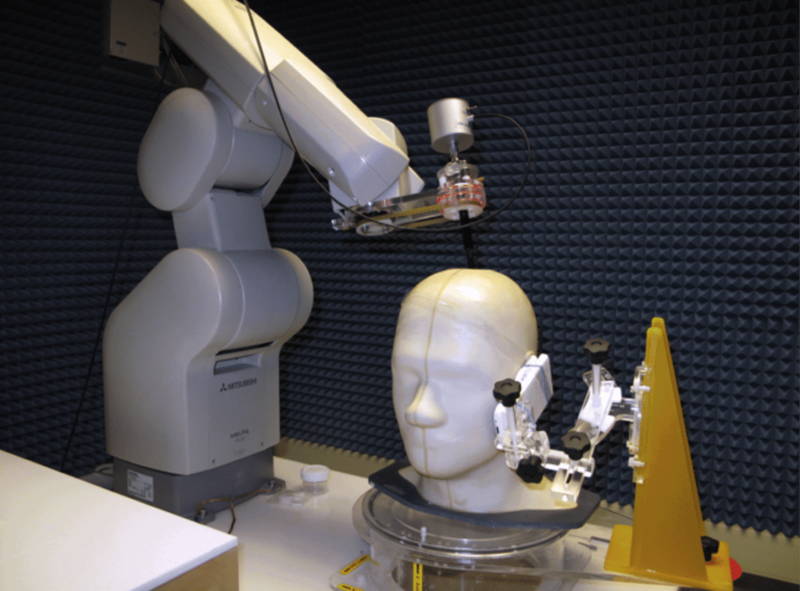 You see, if you take a look at the image below, you’ll notice that specific absorption rate tests are done with a model head, and a cellphone held by machine very close to the ear. This fairly closely replicates how a normal person would use the phone. They read how much radiation is absorbed by the dummy. Since Samsung’s new antenna directed most of the radiation away from the head, it resulted in far lower SAR ratings. So Why Don’t Other Phone Manufacturers Do This? Well frankly, they don’t have to. The regulations only say that you no longer have to use omnidirectional antenna, and that you have to stay under 1.6 w/kg on SAR tests. So, not only do phone manufacturers not want to put the money into the research and development, but they also don’t want to admit that there is even a reason to try and achieve lower SAR ratings. Alright, we’ve talked a lot about SAR ratings when determining the lowest radiation cell phones on the market, so let’s break this down a bit. SAR, or specific absorption rate, is simply a measurement of how much EMF radiation human tissue absorbs from a specific phone. This measurement is used internationally, with different countries having set different legal minimums. In the United States, the FCC (Federal Communication Commission) published a set of rules in 1996 defining the legal EMF exposure limits. They decided that no phone sold in the United States could have a SAR rating that exceeded 1.6 w/kg of body weight. So, when tested, the dummy (that represents a person) can’t absorb more than 1.6 watts of radiation for each kg of body weight represented. The measurements are based on a person holding the phone to their ear for 30 minutes. Are SAR Ratings A Good Way To Determine Cell Phone Safety? First of all, these SAR standards were set almost 25 years ago, when cell phones, and our understanding of the dangers of EMF radiation, were far different. Secondly, SAR standards are only designed to protect users from the dangers of the heat generated by microwave radiation. 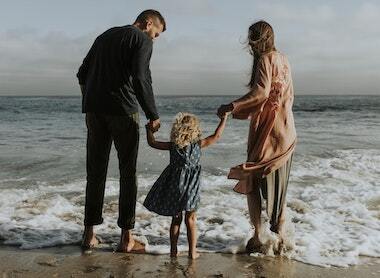 These standards do not account for the non-ionizing radiation that we now know is harmful, especially via long-term exposure. SAR ratings also don’t really give us a real world example of the radiation emitted or absorbed, since this will be largely determined by the person using the phone, how the phone is being used, apps on the device, etc. In fact, the FCC on their website admits that: “cell phones constantly vary their power to operate at the minimum power necessary for communications; operation at maximum power occurs infrequently. Consequently, cell phones cannot be reliably compared to their overall exposure characteristics on the basis of a single SAR value. I won’t go into any more details if you want to learn tons more about SAR ratings, and how to find the SAR rating of your phone, check out this article. How Can I Check The SAR Rating Of My Phone? There are quite a few ways to check the SAR Rating of a mobile phone, which is why I wrote this post that outlines 7 different ways. But my favorite, and the one I use most often, is called the “Quick Code” method. Essentially all phone manufacturers are required to have this code protocol that communicates information about the device to the service provider. There is quite a bit of information contained, and part of that information is the SAR rating of your particular phone. Press send as if you’re about to call that number, and voila, you’ll be presented the information. What Is The Lowest Radiation Smartphone? The current lowest radiation smartphone (by SAR rating) is the Verykool Vortex RS90 with a SAR rating of .18 w/kg. What Is The Lowest Radiation iPhone? The lowest radiation iPhone ever sold was the iPhone 3GS that came out in 2009, and had a reported SAR rating of .79 W/kg. You can reference the chart below for all iPhone SAR ratings. What Is The Lowest Radiation Samsung Phone? The Samsung phone with the lowest SAR rating is the Samsung Galaxy Note with a rating of just .19 W/kg. What Is The Lowest Radiation LG Smartphone? Currently, the LG Exalt has the lowest SAR rating of any LG phone, at just .43 W/kg. How Can I Reduce My Exposure To Cell Phone Radiation? I don’t want to go too deep into this topic, because I wrote a hugely comprehensive guide on reducing your exposure to cell phones that you can checkout. I literally outline 17 different ways you can reduce your exposure, with detailed steps on how to do it. However, one of the absolute best things you can do is to get a quality EMF protection case for your phone. I’m currently using (and loving) this one you can pick up on Amazon. It’s also really, really, important that you have a quality EMF meter, like the Trifield TF2. 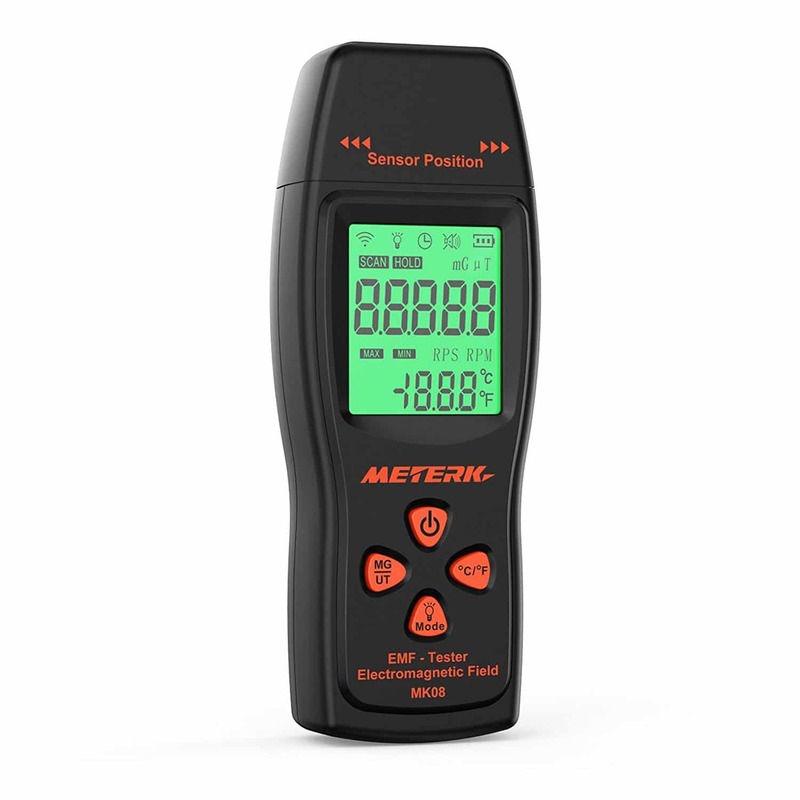 Not only will this let you accurately measure the EMF radiation from your cell-phone, and determine just how low, or high, that radiation is, but it will also be crucial in any EMF mitigation you attempt. If you’ve noticed throughout my articles, I often recommend this, because without a good EMF meter, you won’t be able to find the sources of radiation, or know if what you are doing to reduce it is even helping. If you enjoyed this guide, do me a favor and share it! Awesome info. Where is the article about the scientist who got fired… I think…. For publishing…. Or posting… How cell companies do not really test for EMF on real people??….. Please understand that i may not be recalling it all correctly here…. Just a scientist being fired by Samsung or Apple….. and maybe a different article.. Or the same… The actual test that is used to determine how safe it is in the USA and maybe worldwide….. A model of a humans head as you showed above… But didn’t they use a grapefruit or Mellon or something to determine the temp of the microwaves??…. I can’t remember where I read all this. Anyway, I totally love that you are doin this research and informative posts to help spread the word around. Thank you very much. ? ? Thank You very much of all this information. It is hugely important. Safety on any device should be most important matter when buying phones or other devices. The code *#07# did not work on my phone Samsung Galaxy J5 (2016 model).